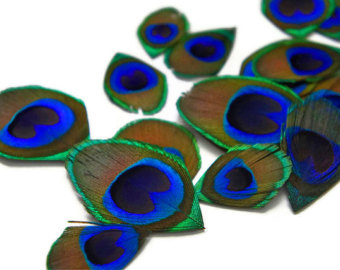 The plumes from the Peacocks tail have been used in fly tying situations for hundreds of years, from Anchovies to Spiders, the noble Peacock has had a part. It's subtle colours are often attempted to be copied in synthetic form but always they fall short of the natural iridescence that comes from the bird itself. 2 per pack.